An atmospheric exploratory adventure game which is the debut project of White Lotus Interactive. The plot of XING: The Land Beyond starts somewhat offbeat — with the death of the protagonist. 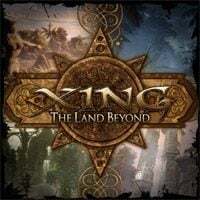 XING: The Land Beyond for PS4 and PC is a three-dimensional exploratory adventure game build on the Unreal Engine 3 technology. The production is the debut project of White Lotus Interactive and was initially released for the PCs. The title supports the Oculus Rift VR headset. The plot of XING: The Land Beyond starts unusually — with the death of the protagonist. His souls leaves the body and embarks on a mystical journey through the hereafter that has the form of an archipelago of mysterious islands. This is where logic gives way to mysticism — there are high mountains, deserts, icy lands, forest, and active volcanos existing one next to another. During their adventure, the players will progressively uncover the truth about the protagonist’s life and help him accept its end. The plot is key in XING: The Land Beyond but the story is told in subtle ways. The past of the afterlife and the souls trapped in it is learned by analyzing the environment, reading hidden messages, and interpreting poetry engraved on monuments. There is no narrator or typical dialogue whatsoever in the game. As far as gameplay mechanics are concerned, XING: The Land Beyond combines free exploration of extensive levels with numerous logic puzzles to solve. The action is viewed from the first-person perspective and the controls bring FPS productions to mind although the game doesn’t feature any fighting sequences. Instead, we have to carefully analyze elements of the environments for they often contain clues required to solve puzzles. All such challenges are logical and most of them can be beaten in multiple ways. This is facilitated further by the protagonist’s ability to manipulate the reality—we can, for example, summon rain or unleash a snowstorm.